On Monday 22 May, students and workers at the UniLim shut down the campus, disrupting classes and examinations that were due to take place. Students were protesting over the lack of insourcing and the distribution of National Student Financial Aid Scheme (Nsfas) allowances by the university. The university postponed all examinations for the day. The Daily Vox takes a closer look at the demands of the students and workers. The academic programme had been further suspended on Tuesday as discussions between management and workers continued. A student from the university told The Daily Vox that the universityâ€™s latest reply to the demands from the students is they will discuss insourcing with the labour forum but they have not provided any timeline for when they will actually respond to the workers. â€œWhether they are going to discuss it tomorrow, whether they will come back to the workers tomorrow – we donâ€™t know. As to whether they do discuss it, we donâ€™t even know,â€ the student said, remarking that the university are not showing a willingness to engage. The workers and students are holding meetings regarding a way forward. The Student Representative Council (SRC) has reportedly said they will not sit for exams until management meets their demands. Speaking to The Daily Vox, the vice-chancellor and principal Professor Mahlo Mokgalong said he had addressed the students earlier on Tuesday and had responded to their demands. The university has sent The Daily Vox their response to the students and workers demands. With regards to the insourcing, the university said the matter is currently a standing item on the agenda of the Management and Labour Forum and the university is waiting for the outcomes of the forum on the matter. The university has not received a final list of Nsfas-approved student, and have paid for meal and book allowances from its own resources. In a statement released by the university yesterday, they said that due to the morning protests by students and workers, the planned academic programme had been interrupted. As a result of the interruption, the university had taken the decision to postpone the examinations which were scheduled for Monday and would go ahead with Tuesdayâ€™s schedule. However, the examination papers which were scheduled for Tuesday were postponed. The university said the disruption of scheduled examination papers on 21 and 22 May 2018 is unfortunate and regrettable. In a memorandum of demands released by the Economic Freedom Fighters Student Command UnLim branch which was seen by The Daily Vox, the students demand the insourcing of all labor brokers, loading of off-campus and book allowance when academic activities commence, all acting positions need to be made permanent by the University, the vacant position of Student Dean needs to be filled as soon as possible, and stipends for nursing students must be paid. The Student Command called for solidarity with the affected stakeholders and for all to stay away from the university until the university management responds to the demands laid out. Mokgalong said the SRC failed to pitch up for a meeting on Monday meant to discuss their demands. 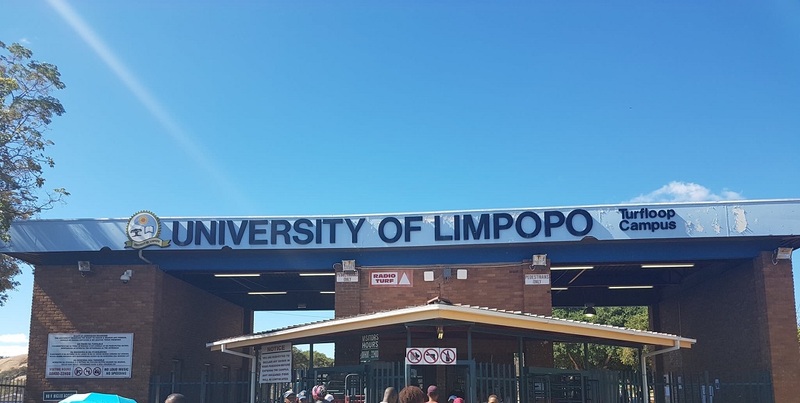 According to Capricorn FM News, the University has confirmed that they have held consultations with organised labour after security guards also joined the protests. The University has expressed concerns about the lack of security at entrances after the guards joined students and workers in the protests, leaving the entrances open and unmanned.